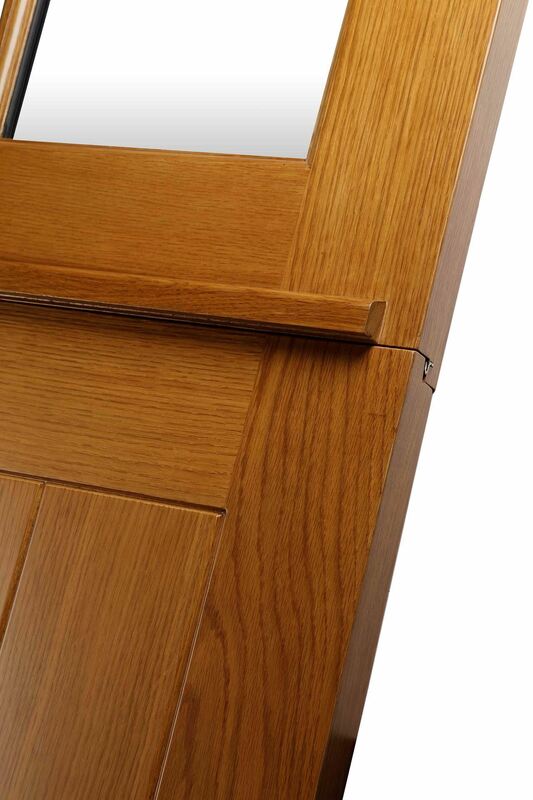 The stable door is solid in construction and features flat panel detailing and clear double glazed units. Oak mouldings and Veneer over a patented High performance insulated Panel. Take up to 10mm off each edge, up to 10mm off the top and up to 40mm off the bottom. If assembled using the recommended Todd Doors external door frame there will be no need to trim the door during the fitting process.